“During the 1980s, slashers terrorized America. With machetes and masks, these unstoppable killers stalked college campuses, quiet suburbs, and lakeside cabins. Woah! Talk about the right book at the right time! I have been suffering from a rather major reading/blogging slump recently. I don’t know about you but when that happens I tend to move to another genre for a while. I read a lot of crime and even though I love it with a passion it’s sometimes nice to have a break. My chosen ‘pick-me-up’ genre is horror. The darker, the better. I tweeted asking for good slasher-type horror recommendations and the lovely Noelle at Banshee Irish Horror Blog suggested I try Mask Beneath Her Face by Rafael Chandler. Which was lucky as I had won a copy of the book and it was sitting gathering dust on my Kindle. Why oh why did I leave reading Mask Beneath Her Face for so long? I have to say it’s not going to be to everyone’s taste but if you’ve got an iron stomach and can handle a little (small under-exaggeration there) violence and gore then this is the book for you. It opens with a teenage Bobbi fleeing terrified from a slasher who has interrupted her birthday party having slaughtered her friends in the most macabre ways possible. Bobbi is a final girl. Something that she has to live with for the rest of her life (however long that may be). We skip forward 30 years and discover how badly the attack affected Bobbi. She has turned to alcohol and pills to take the edge off and is living in constant fear, waiting for her slasher to return and finish her off. I should say at this point that the blurb of this book tells you very little and the story is so much more than what it first appears to be. Bobbi has befriended a group of other ‘final girls’ (who are actually guys), all of whom live a life of fear, waiting for the day their slasher strikes. Jesse won’t look in the mirror. Sam is hiding a dark secret. And then there’s Cris, a teenage loner who works for Jesse. It’s not just Bobbi who shines from the pages. The entire cast of characters make this book something very special. The pace doesn’t let up for a moment. From start to finish one of the characters is running terrified from a crazed killer, being hacked to death or seeking revenge of some sorts. Which for the reader means that it’s a very difficult book to put down. I felt I had to read ‘just one more chapter’ and find out whether X was going to survive…or not. One more chapter was never enough though. I chose to read and review a copy of Mask Beneath Her Face. The above review is my own unbiased opinion. By day, I write screenplays for video games. I wrote the stories and dialogue for Dark District, Final Eden, Gangstar Rio: City of Saints, MAG, Modern Combat 3: Fallen Nation, Modern Combat 4: Zero Hour, Rainbow Six: Lockdown, and SOCOM 4. Thus far, I’ve worked as a scriptwriter and/or story designer for Gameloft, Kabam, Sony, and Ubisoft. By night, I’m a novelist. I wrote The Astounding Antagonists, Dracula: The Modern Prometheus (written with Mary Shelley and Bram Stoker), Hexcommunicated, and Mask Beneath Her Face. I’m hard at work on my fifth novel. In my spare time, I design tabletop role-playing games and sourcebooks, including Dread: The First Book of Pandemonium, Lusus Naturae, Night of the Slashers, No Salvation for Witches, Obscene Serpent Religion, Pandemonio, Spite: The Second Book of Pandemonium, The Starship from Hell, Teratic Tome, ViewScream, and World of the Lost. I’ve also written nonfiction, including Fundamentals of Game Development (written with Heather Chandler), The Game Writing Handbook (which was a finalist for the 2007 Game Developer Front Line Awards), and various articles for Gamasutra.com and Writers Digest. I’m a gamer, a gorehound, a kaijuphile, and a metalhead. I personally can’t do horror but this sounds like it hit you just at the right time. It definitely sounds intense and gripping. 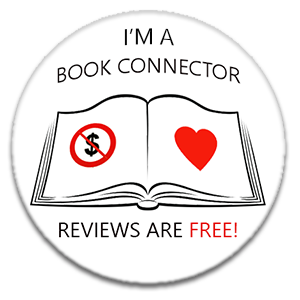 Fantastic review – and I hope it keeps you out of the reading slump!